Click the button below to send a prepopulated Tweet. Then you'll be able to download your ebook for free! Do you have a blog? If the answer is – yes – then you are aware of the power of content marketing. Blogging is the way how people learn about your brand. 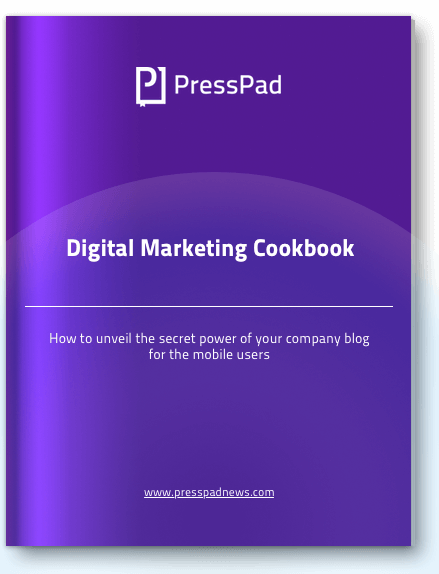 After reading this (not so long) ebook you’ll be at least one step ahead of your competitors when it comes to digital marketing and unveiling the secret power of your blog for the mobile users. How to communicate with mobile users. How to repurpose your WordPress blog into the mobile app. What makes people installing mobile apps. How to promote mobile apps almost for free using your existing resources.